Latvijas Operāciju Pētījumu Sabiedrība (LatORS) tika dibināta 2005. gada 9.martā. Reliability and Statistics in Transportation and Communication (RelStat), an annual international multi-conference that is an international forum for scientists and professionals to present and discuss their ideas, theories, technologies, and applications on all theoretical and practical issues arising in transport, information and communication technologies. Research and Technology – Step into the Future (RaTSiF), a biannual research and academic conference that bring together young researchers on the basis of mutual multidisciplinary scientific interests for obtaining breakthrough results of solution of tasks that are existing currently and will appear in the future. 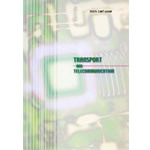 Transport and Telecommunication Journal, a peer-reviewed open-access scientific journal, a source of information and research results in the full scope of transport science: modelling and planning the transport systems, technical means of transport; transport infrastructure, traffic control, intellectual transport system, telematic and also concerns the interdisciplinary questions. Selected Papers of RelStat-2017 are published in Springer! Conference will be held on 8-11 July 2018 in Valencia, Spain.